Last week I chatted about the Challenges of Blogging and was astounded to receive 19 responses, an all time high for my blog! Even more thrilling was hearing from people whom I had no idea even read my blog! And the responses were incredible, deep and thoughtful. Today I wanted to address a question posed by Angie. Angie is a new blogger though experienced at other forms of social media, including facebook and twitter. Perhaps you can answer this question … Why are bloggers not very generous with feedback, likes, and comments. Why would a blogger write reams of words, but not give an equal amount to engage others? I know there are exceptions, but that is my general impression. Angie your general impression is ‘on the mark’, please bear with me as I loquaciously answer your question. 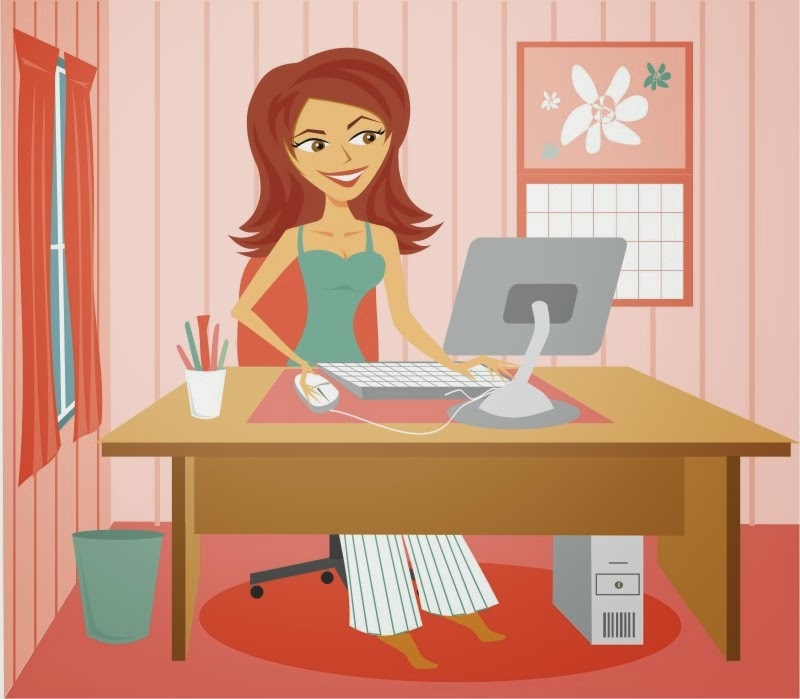 When I began blogging 7 years ago it was in a high season of blogging popularity within the online circle I was active in, Catholic homeschool mamas, mostly from across the Ocean. Many of these bloggers I ‘met’ through 4Real a Catholic homeschool forum I was actively involved in and continue to be so today. At that time there was a real sense of community, many of us already ‘knew’ each other from the forum, and there was active ‘visiting’ and commenting on one another’s blogs, you would ‘meet’ familiar faces at various blogs. Then facebook and twitter exploded upon the mama blogging world and it had an immediate effect upon forum and blogging communities. Many mamas signed up for various new social media and not only did active participation and commenting slow way down but the tone of many bloggers changed, some of this coincided with the realisation that circumspection was needed, that we needed to be mindful of privacy. Sadly though I think the tone of some ‘mega bloggers’ changed, what were dynamic and interesting blogs lost something fundamental as they grew, change is inevitable but it was sad to see. Since the facebook explosion I’ve assumed that all the great conversations must have moved over to facebook, recently I reluctantly opened a facebook account and discovered it isn’t so. Facebook isn’t designed for deep and meaningful exchanges, nor is twitter or other social mediums. If you’re wanting engagement, forums and blogs are the places to be, though sadly engagement there has has never regained its former high. Simply, I think ‘we’ can’t ‘keep up’ with all forms of social media, to do so would be a full time occupation which is neither desirable nor healthy, our families need us first. So readers are stretched thin, flitting here and there, which is not conducive to building a community. Also contributing to the lack of engagement is the new habit of skim reading, which means readers are not fully engaged but are always moving on. Furthermore commenting has been further effected recently due to the use of iphones and tablets as my readers shared. Serena said: I have a feeling that people are commenting less and less the more that they read on phones and tablets. It’s such a pain to comment. You can tell I am at my laptop right now. Willa said: I wish I commented more but I often read blogs on my phone when I have a stray moment and my phone won’t let me comment for some reason. Is there a solution, can we engage others and form a sense of community? I’m not certain that we can regain the level of participation that first hit blogoshpere, but my hope is we can form smaller pockets of online community. In fact I have recently discovered an active community here in Australia via Maxabella’s link up. I can only share what works for me, my plan. I deliberately limit my online involvement to more fully engage in where I have chosen to place my energies; I’m still actively involved in the forum, but my fb account consists of only 12 ‘friends’ and I don’t have a twitter account. My blog feedly is limited to 30-40 blogs which enables me to actively read and comment. I read on my computer which means I can comment easily, and do so immediately or mark as unread to return and comment when time is available. Anyone new to comment on my blog receives a visit in return and I often add them to my feedly,(when I can find their blog, I won’t start on Google +). I have a loyal band of readers and commentators with whom I reciprocate visits and commenting. This I believe builds a sense of online community, not a big community but one in my little corner of cyberspace. It does take time to find your niche and it can be disheartening, but I encourage you to persevere. What’s your opinion, why do you think bloggers aren’t very generous with feedback? Erin, this was a great post! I was not around when blogging first became a big thing, but even since I started mine(about 2 and 1/2 years ago), I was beginning to notice that the way I blog/read blogs was changing. I found myself participating in more link-ups, hoping to "befriend" some of the well-known gals whose blogs I enjoy; and then I realized I was trying too hard to have my little blog be something that it's not, so I decided to limit the number of link-ups I'll participate in each week. It was kind of heady getting lots of comments all of a sudden, when I'd link up at one of the really popular blogs; but I don't know, I just didn't feel the same way about my blog as I did when I started out (and knew that only a small handful of people were even reading it). I didn't feel as happy. I don't have a lot of readers who comment, but there are several regulars who do stop by now and again, and I see them as "friends" (great "pen pals," anyway). It does make me feel as if I'm part of a small community of like-minded Catholic/Christian women, and I do enjoy the interaction in the comments sections. I have just rambled on and on here, and I don't know if any of this made sense. I just really appreciated reading your thoughts on this subject. I do think it's hard now, because of all the things you mentioned above, to even keep up with your favorite blogs. I think limiting yourself to a certain amount of time (at your computer, not at your phone) to read the ones you like is a good idea. There are so many worthy blogs out there, it's impossible to read them all–and it can get so overwhelming! It's all about finding your voice. and it takes time sometimes. Great that your happy with your blog now:) Yes it makes us feel part of a bigger world. Totally made sense. You are right, we can't read them all. Hi Erin! Generally, I don't comment much as much as I blog, because I don't have the internet at home (personal choice) and I blog offline. During my once a fortnight trip to the library to use the internet I usually have such a huge list of things to do that commenting doesn't make the list-I generally save what i'd like to read, and take it home to read it, offline. That's why i'm so quiet. A good point, there could be a few readers in the same situation as you. So loved your visit, last week:) the kids are desperate to meet again:) You really lifted my spirits. I think I already mentioned this in the comments of your last post, but I think we have to be picky with our online time. I'm thinking less time on Facebook and more time on my favorite blogs. The conversation are better on blogs! My choice too! Love to visit your blog, can you give me your blog addy. I'm hearing you loud and clear Erin! It's disheartening, but I guess, those who care and are truly interested in your life and well being will comment and read! True, but it takes time to build up an online friendship, as with any friendships. So chuffed you have popped in:) Sounds like we are on the same wavelength! Yes we can still form little communities, which I have found through Maxabella, which is how I found you. Since I'm very new to blogging, I'm not familiar with the dialogue and community from a few years ago that you've referred to. As a blogger, I typically try to respond to comments, but rarely receive responses to my response. That's ok with me, but it makes me wonder if readers ever even come back to check for responses after they've commented. As a blog reader, I know I like to leave a comment if I read something particularly interesting or helpful, to let the writer know she "reached" someone. But sometimes I'm hesitant to leave lengthy comments or questions looking for a response b/c I don't always know when I'll find the time to go back to check for a reply, and I dislike having my email inbox filled with comment updates. I do appreciate the community and conversation that blogging affords – especially with those who I never would have connected with otherwise – but feel I have to guard my on-line time so it all stays in balance! Thanks for sharing your thoughts on this, Erin! I've been pondering this issue, I know I can't always remember where I left a comment, and I'm guilty of this. I did read recently about Disqus and I'm considering this. I always tick 'notify me of comments' but for some reason it doesn't seem to work. You should go ahead and ask/comment anyway, I think even those with lots of comments must be heartened by comments. Balance, the ongoing conundrum. Thank you for writing this post which resonates loud and clear for me. In a few words, I've been blogging for a little under two and a half years now and, to be honest, although I do not have that many followers (less than 400) I have always been very fortunate to receive quite a few comments – between 45 and 65 on what is usually a fortnightly post – but recently I have found a big difference. My comment box is emptier than before and I feel I have lost confidence in my blogging voice. Now, I must be honest. I started a small business a year and a half ago and last summer a bunch of wonderful creatives convinced me to open a facebook business page which is doing quite well and is certainly generating a healthy business for me. I have endeavoured – maybe too much so? – not to use my blog as a shop window. I REALLY didn't want that but I feel as if I have lost my way a little. Whilst before I would sing out loud and clear, honouring my little personal voice and style, I feel a certain lack of confidence now. Why won't people comment as often? What am I doing wrong? And you know what? My voice isn't ringing out anymore. I am reluctant to blog when before I loved it. I'm a mother of three and like all parents I do not wish to let my attention wander too much from my children's needs towards the computer. I do, however, endeavour to engage with other blogs, leaving comments, maybe not regularly, but sincerely. Please forgive my ramblings. This blog post has done me a lot of good. I guess I must find my voice again and not pander to the whims of skim-reading readers. I know I am guilty of that too, incidentally. There are simply not enough hours in the day. Many thanks for reading my thoughts here. Welcome, and I popped over to your blog, so beautiful and calming. I see 400 followers as huge!! well done and in only 2.5yrs. You were obviously striking a cord to receive so many comments. Wishing you all the best in finding the balance between your blog and business I imagine it would be hard. What is it that is different, that you aren't loving as much? It's for the reasons of family that I've limited my blog reading to a small number so I can engage and yet not neglect family. Loved your ramblings, feel I know you so much better:) So humbled to have helped. All the best finding your voice again. Welcome back:) There are too many, which is why we have to narrow down, I choose to read who speaks to me the most, I find a certain writing style appeals. I only choose 3-4 blogs to comment on with the link ups, too many other wise. Very true, it really isn't personal, just many factors. Hi Erin! So pleased to meet another large family Mum! I have six kids and blog at Six Little Hearts. I have just found you and will be following you! I often joke to my husband that if we'd had 7 kids I would have called my blog Seven Little Australians – it's taken! How exciting to find another mother of a large family:) My problem with the name was when I had more than 7, first I called it 7 Little… Plus One, when number 9 came along I changed to Counting. I think the increasing use of phones instead of desktop computers has a lot to do with it. It's a big part of it. I love comments too and to spread the love. I enjoy giving and receiving comments and even the 'likes'. It gives a sense of having reached a reader and to me that's what communication is and to communicate is why I blog. I'm a bad blogger and a worse commenter. So often I'm reading on my phone and commenting through the phone can't be done. I've lost too many replies that way. Hi, Very interesting points raised here by you and all the comments. I think if you receive comments on a blog, wherever possible, its nice to acknowledge them via a reply in the comment section, but I notice a lot of bloggers don't do this very much and I am not sure why? And, sometimes if I see this occurring, I won't comment on that blog. I follow a very big blogger, who always manages to reply to the comments and emails! I am always mega-impressed by that engagement. I do like the link ups – when they work! But more often than not, comments are not reciprocated on your own blog – and I think that should be a part of agreeing to join a link up. As you mentioned, possibly time is divided to cover all social media, and the commenting is lagging behind due to time constraints and methods of commenting. Perhaps the motivation of linky joiners is to form a community? and they realise to do that they need to actively participate? Thanks for popping in:) I always love to meet new people. Thanks! have added you to my feedly, we blog about similar interests! It's a great question and very timely since I have been thinking heavily on why I don't engage as much as I used to. It's certainly not because I'm trying to be rude. It's mostly because I barely have enough time to shower…lol! The blogging world has become very fast paced (you saw my thoughts on that earlier) and I feel like I can't keep up at all. For example, I used to follow Angie's blogs and read regularly. When I saw her name in your post I thought "Why don't I see her posts anymore?" The fact is that she's not in my feed at all and I don't know why. And life goes on and there you have it! I read posts while I nurse the baby and am never able to read everything I want to. So I make a plan to catch up the next day and there are a dozen more new articles in my feed that day! So it's just practical for me. I've been whittling down the blogs I read because honestly, the pouring forth of information causes me some anxiety. And I assume that others have similar experiences. I do try to respond to comments on my blog. I feel like if people bother to comment, I should be courteous and give my time to them as well. There has also been some turnover…. some of my favorite bloggers no longer blog and communities and circles do change and shrink and grow just like our neighborhood communities. Thank you so much for putting your thoughts here. AND for commenting on my blog so that I could figure out why I wasn't getting your updates! Well…I'm embarrassingly behind. LOL!!! >> Insert sheepish grin here << But thinking on this nonetheless! I think the questions are good ones about blogging in general. I'm not sure I have all the answers. I am sure that I bet there are decent answers for many. From commenting issues to sporadic involvement. But it IS something I've been giving a lot more thought to lately. Initially…back when I started blogging in 2007, I watched how others handled feedback and commenting and tried to pay attention. It was all new then – this blog-etiquette thing. I even remember we had a blog that covered blog etiquette!! Remember that, Erin?? LOL! Anyway, in re-thinking my own presence in blogging I have really been giving some thought to how blogging started, how I formed my initial impressions on commenting/engaging and feedback within that community, and how that ended up being somewhat dis-engaged (sometimes of necessity, and sometimes borne out of my initial impressions that dis-engaged was perhaps the norm). Add to that the necessity of dis-engaging to tend to the needful things of life – the daily duties – and it left me feeling positively and completely un-engaged. So, I guess you could say I sort of feel like I've come full circle with this idea and I almost feel right back at the beginning. Only now, I'm comfortable with my voice and my small little place in blogging, and I'm comfortable with my set of priorities in time online. It ebbs and flows, and I'm good with that. But, as Angie points out, I want to reciprocate more in this community that means so much to me! I do want to re-evaluate engaging within blogging, and in particular, I find I greatly value receiving and GIVING feedback via commenting. I've found I love that :LIKE: button!! Which you NEED, Erin!!! So I can :LIKE: some of my favorite posts! I'm encouraged overall in blogging though. There are wonderful new voices to engage in blogging, and many wonderful, (ahem…) seasoned voices are here. I see that many of us value this platform, eschewing the idea that it could be "dead". I think we're set to really see a renaissance in blogging! What do you think, Erin?